Regis Resources has received board approval to expand its Rosemont operation. An underground mining operation will be developed directly below the current open pit starting next year. Expansion work will commence at Rosemont by the end of March 2019, with processing of underground material to start by December 2019. 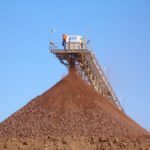 Regis executive chairman Mark Clark indicated a very strong possibility of replicating this development at the company’s Garden Well operations 100km north of Laverton in the near term, as well as the Duketon satellite pits in Western Australia. Clark said, “The decision to approve the first development of an underground mine at one of our Duketon operations is a very exciting step for Regis. 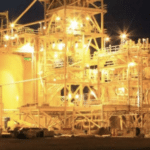 The open pit and new underground mine are expected to deliver a combined 10.3 million tonnes (Mt) of ore at 1.72 grams per tonne (g/t) for 570,000 ounces (oz) over its current five-year mine life. The open-pit, JORC compliant reserves will make up 62 per cent (356,000oz) of this output, while the underground operation is anticipated to deliver the remaining 38 per cent (214,000oz). “This growth opportunity will be targeted both laterally between the two mining zones, and at depth and along strike,” Clark said. 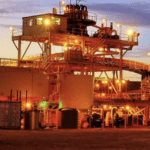 When the expanded, underground mine reaches full capacity, the company expects the combined operations to have a run rate of approximately 120,000–130,000oz per annum (oz/y). This represents a 35,000–45,000oz/y uplift on production, solely from the average grade of the open pit. The Rosemont project is an open pit gold mine that has been operating since March 2013. The mine pipes its ore slurry to the Garden Well CIL processing facility. The underground expansion will require a pre-production capital of $29.4 million, plus a further $9.7 million over the life of mine.